Appropriate nutrition is needed to fuel your muscles during exercise. Physical activity should be a part of your healthy lifestyle, period -- no excuses. Additionally, you must maintain proper nutrition to build your endurance. The food you eat is made up of three main components -- carbohydrates, fats and proteins. Each provides essential nutrition to your body and can be used by your muscles to create energy; however, your body burns them at different rates. 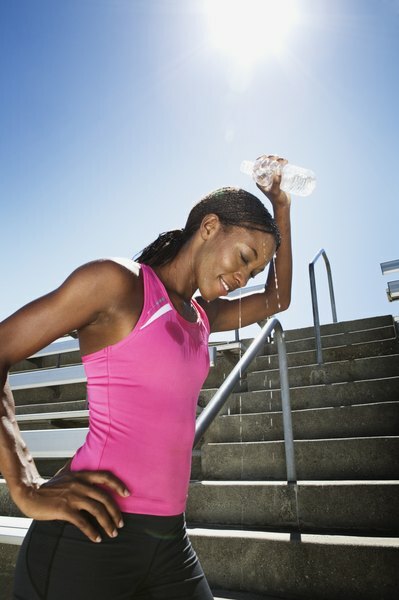 Carbohydrates are the primary source of energy for your muscles during exercise. Since glucose, the simplest form of carbohydrates, is quickly absorbed and easily available to the muscles, carbohydrates are the first to be used as fuel. Various factors affect carbohydrate utilization, including frequency, duration and intensity of exercise. When your carbohydrate stores, also known as glycogen stores, begin to run low, your performance decreases. At this point, your body cannot keep exercising due to low stamina. Building up your endurance helps your body become accustomed to burning carbohydrates at a rapid pace. During your workout, your muscles release lactic acid, a compound that is converted to carbohydrates and used for energy. The more you exercise, the easier it is for your muscles to produce lactic acid. This helps fuel your muscles and sustain activity. 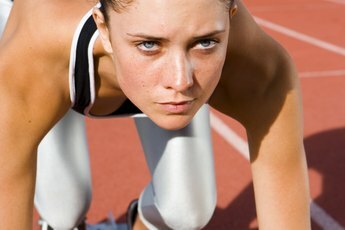 Large quantities of lactic acid are produced during high-intensity exercise that lasts more than 60 minutes. Therefore, your goal is for your body to produce more lactic acid so you can exercise at a higher intensity for a longer period of time. Once your stored glycogen is depleted, your muscles start burning fat. This typically occurs after 30 to 60 minutes of strenuous activity. Also, your pre-workout food intake, oxygen availability and muscle-cell pH help determine when fat becomes your main fuel. Once your endurance increases, your muscles use more fat for fuel than when you first began exercising regularly. This is yet another reason to incorporate physical activity into your lifestyle. Protein is the least preferred fuel for your muscles during physical activity, since the main function of protein is to build and repair muscle tissue. It makes sense --muscles do not want to break down the very compounds that help them function properly. Your body loses muscle mass when proteins are used for energy, which is not desirable. Ways to prevent this from occurring include consuming a carbohydrate-rich snack before your workout and consuming carbohydrates during your high-intensity workout, if longer than 60 minutes. Also, if you exercise regularly, consider consuming a diet of 60 percent carbohydrates to maintain adequate glycogen stores. 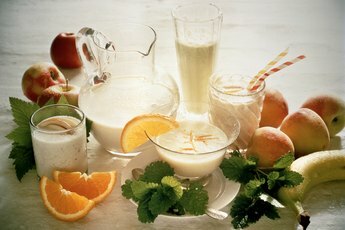 How Do Protein & Carbohydrates Replenish Your Body After a Workout? What Fuel Do Sprinters Rely Heavily on for Exercise?